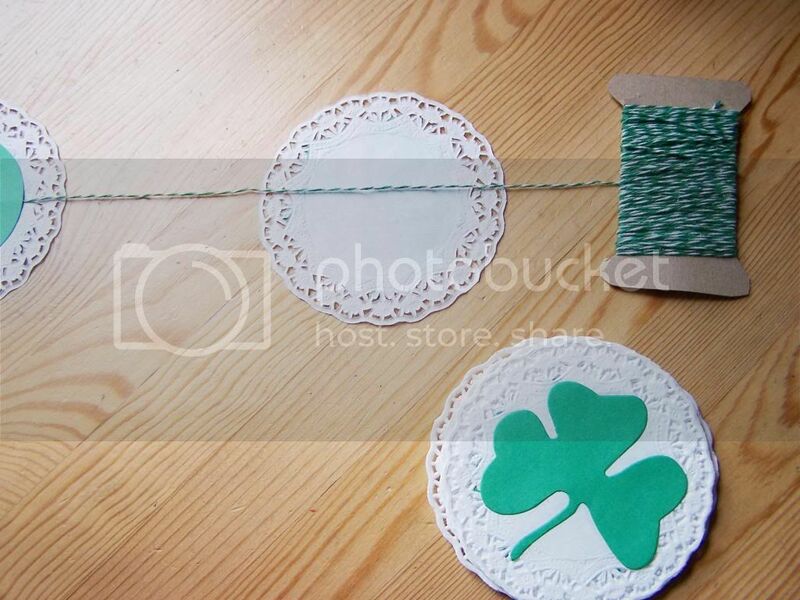 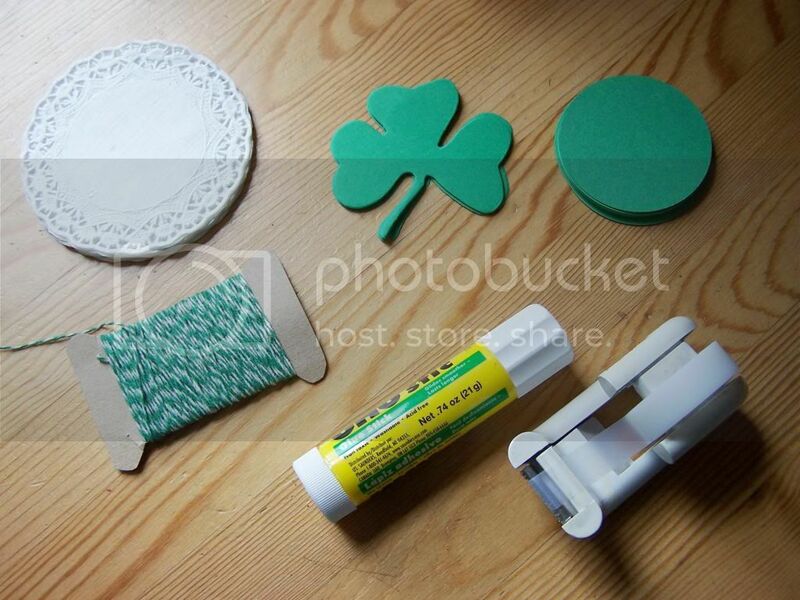 18 white doilies - 4"
18 green cardstock circles - 2.5"
*I cut the clover cut outs at my local scrapbook store. 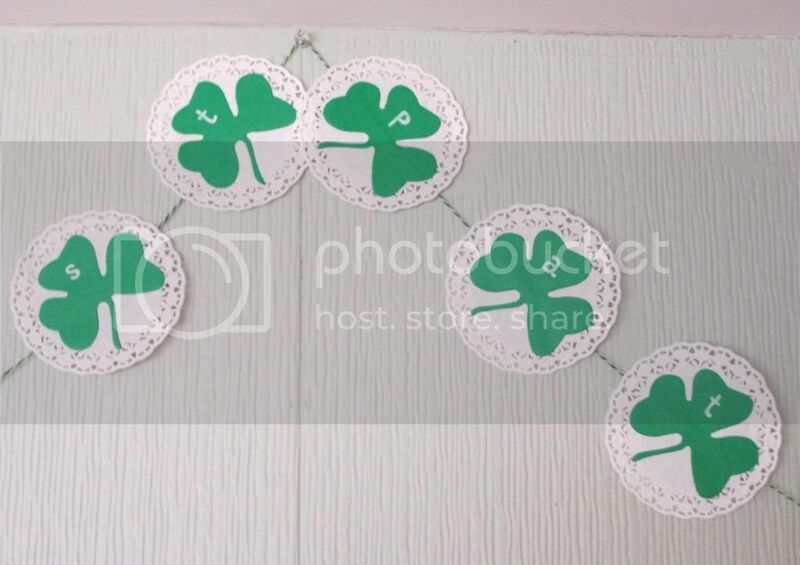 You could also trace a cookie cutter or make a template from a computer image and cut them freehand. 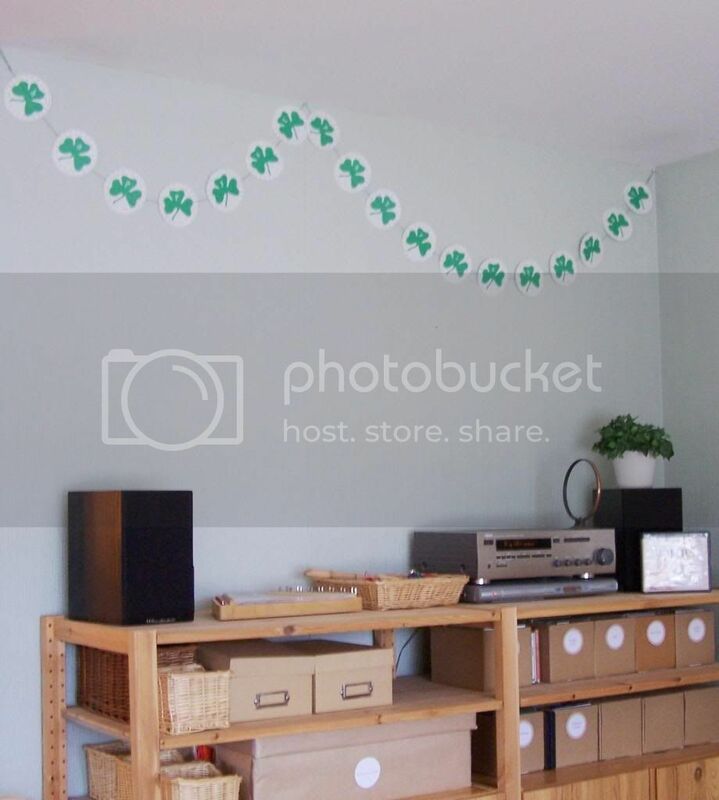 Hang in a spot for your family to enjoy!